In this case, the liberal opposition asked the Judge for a temporary injunction against the government asking the question, but the federal judge didn’t except their argument of privacy as a reason to immediately block the 2020 census citizenship question. In a different case, a federal judge in New York issued a ruling last month that the citizenship question was unlawful. The Supreme Court is deciding whether to take that on appeal. 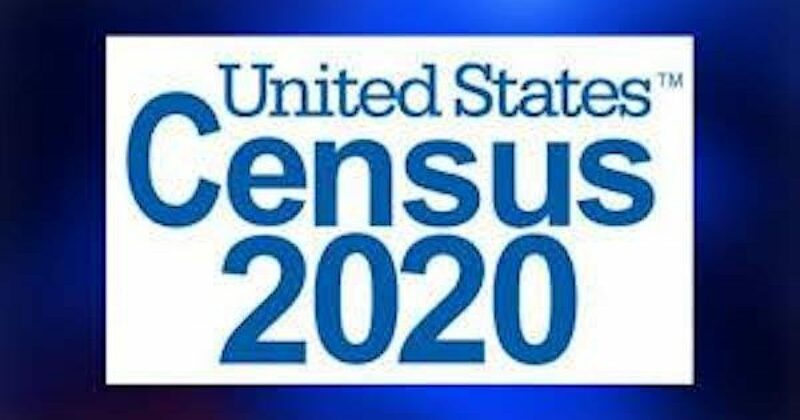 According to Benny Huang, illegal aliens also warp the census data, so that big, liberal states such as New York and California receive more representation in Congress than they are entitled to. They are literally stealing House seats from other states. Asking about citizenship on the census is not new. 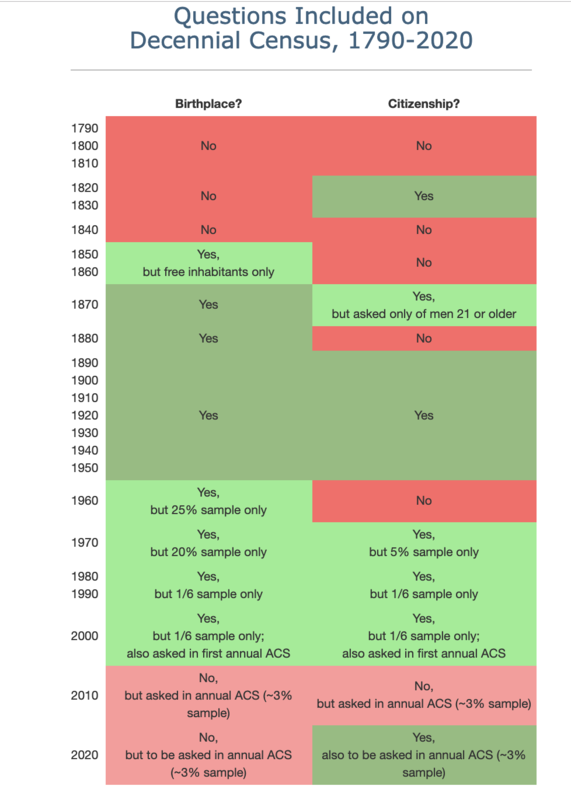 The Chart below from the Center for Immigration Studies shows the citizenship question has been asked at various times during our nation’s history and to different percentages of the total census. In 1960, birthplace and citizenship were asked of the entire population of New York and Puerto Rico. Because this is not a representative sample of the United States, the citizenship cell still gets an unqualified “No”.